Free printable resume templates in various styles and designs. Click on the design that you like to open our free resume maker. You can also edit the editable resumes in Word. The goal of the resume is to present your education, experience, skills and accomplishments to enable the recruiter to determine if you are the best person for the job. 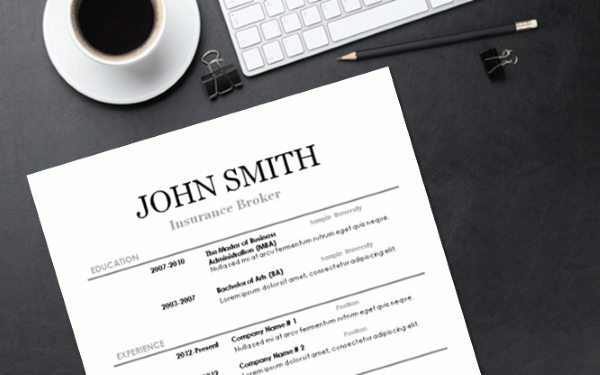 Which paper should you print the resume on? Quality paper stands out. 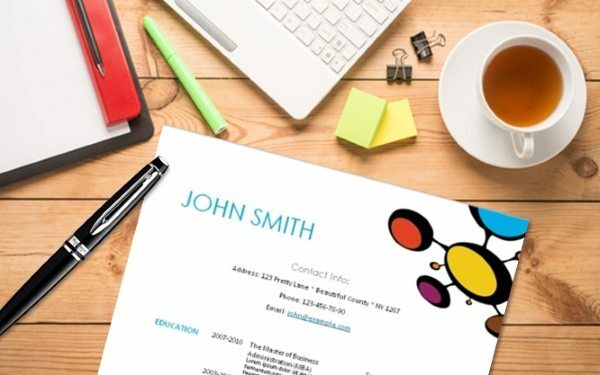 You don’t have to use expensive paper, particularly if you are sending out a lot of resumes, but you might want to use paper that is slightly heavier than standard paper. Don’t use colored paper unless it is a light natural color such as crème or light beige. Never use scented paper. How many pages should a CV? The content that you would like to include should dictate whether the resume is printed on one or two pages. Most resumes can fit on one page but if you have a lot of experience or an extensive education then use two pages. Never use more than two pages. Should you submit a cover letter? Yes. You should always submit a cover letter unless it specifically says not to include one. Which jobs should you include in the work experience section? Don’t include short-term jobs if you have other work experience. It will only raise the question if you were fired or couldn’t get the job done. Could I send the same resume to each job application? No! Your resume should be adapted for each job application in order to show why you are the perfect fit for that job. Some believe you should include hobbies to enable the recruiter to get to know you and to become more personable. Others believe that you should keep the information strictly professional and not include irrelevant personal information. Keep in mind that sometimes your hobbies can cause concern. For example, if you are in a profession that requires no risk taking and you write skydiving as one of your hobbies it could raise concern. Your hobbies might also be construed as too time-consuming and might raise concerns that you will not have enough time to devote to work. For example, if you write that you participate in international Iron Man triathlons twice a year the recruiter might be concerned that the training and traveling will interfere with your work schedule. On the other hand, if the interviewer is an Iron Man/Women it might earn you brownie points. It’s probably best not to include such details for fear that they will do more harm than good. Should you add color to your resume? Adding color to your resume can help you stand out in the crowd but must be considered appropriate for the relevant job. Certain jobs require traditional black and white resumes and adding color could mean that you are not hired. On the other hand, for certain jobs, an eye-catching colored resume might ensure that it is actually read and not overlooked particularly when there are thousands of candidates with pretty much identical qualities. It very often boils down to who is reading your resume – some recruiters find that graphics and colors distract them from the content and for others, it draws them to the resume and causes them to pay more attention to it. Color can also be used to focus on specific information. For example, if you have some very relevant work experience or skills, color can be used to draw attention to that section of the resume. 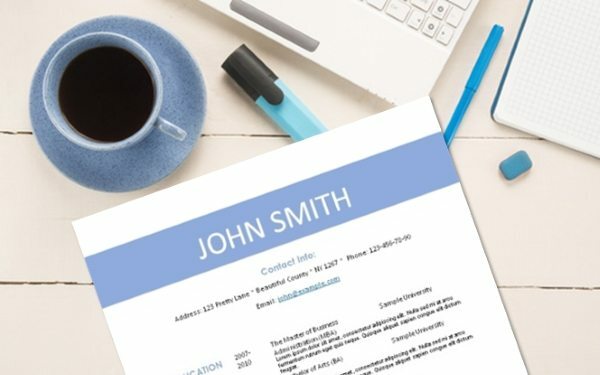 Some people strongly advise against adding your photo to your resume and others think that it helps personalize the resume and make it stand out. In the end, it is your decision to make. Sometimes it is difficult to know beforehand if the recruiter will find your resume more interesting because of your picture or decide not to consider you for the job because you added your photo. Some people claim that they will waste time looking at your photo and spend less time reading your resume. In general, you should not include your photo but you can always try and submit some resumes with a photo and some without and see which help you land more interviews. In certain fields, people will expect to see a photo of the applicant such as on an acting resume template. 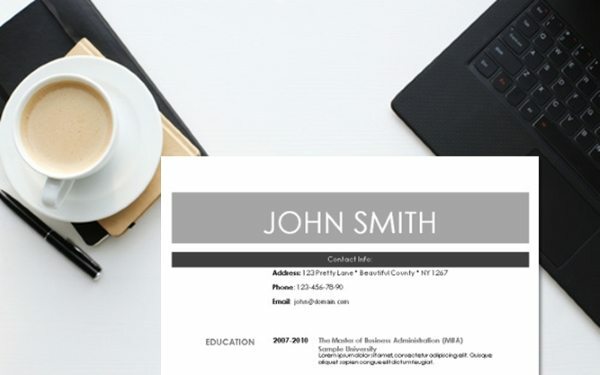 How to add a border to your free printable resume template? Some people prefer a plain resume with a simple border. We have some samples available but you can also just add a border to your resume. What should I do if I don’t have any work experience? If you don’t have any work experience then focus on your education, skills and traits. See our internship resume templates for examples. 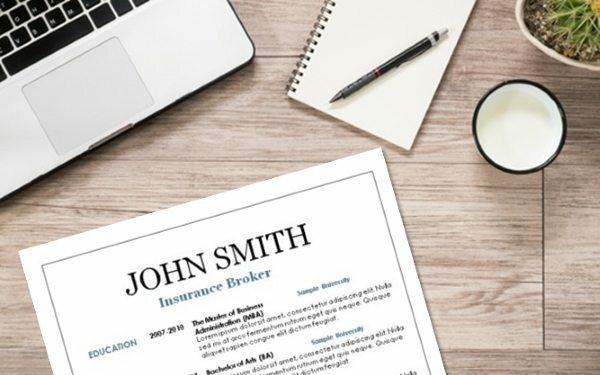 If you are looking to update your resume to a “2019 resume style” then you can read up on the latest resume trends.